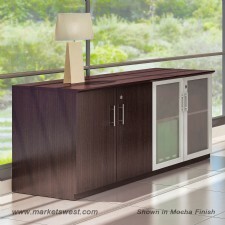 Medina Series Low Wall Cabinet - Wood/Glass Combination. 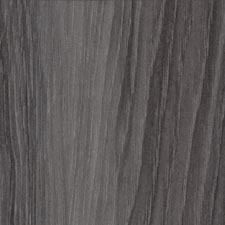 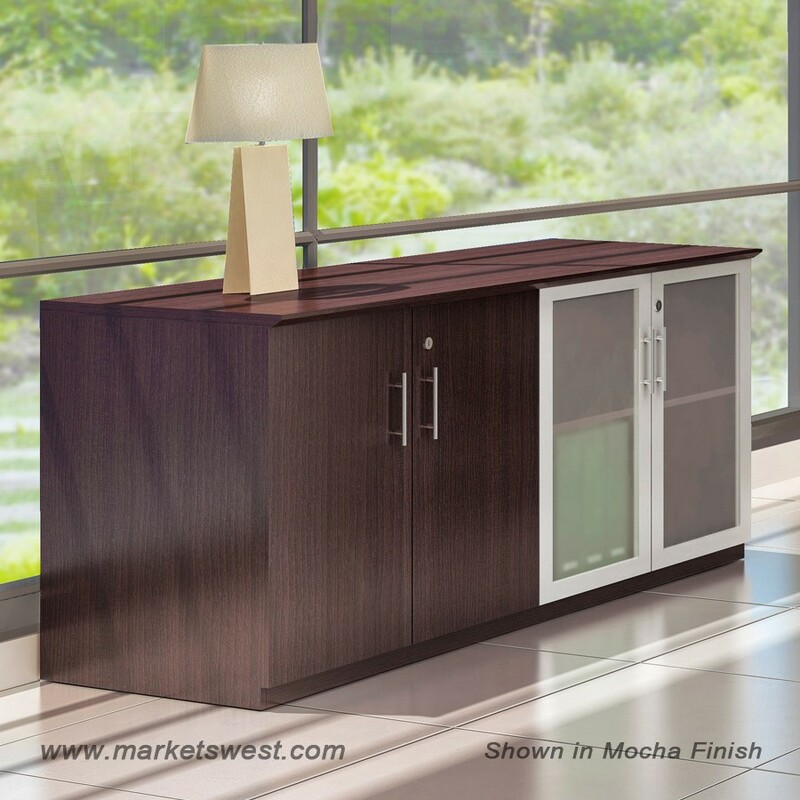 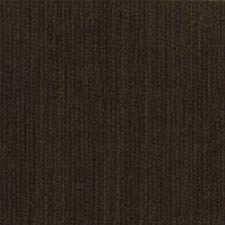 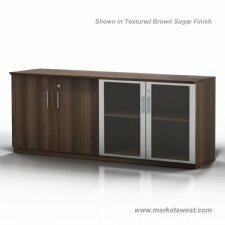 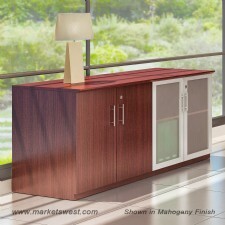 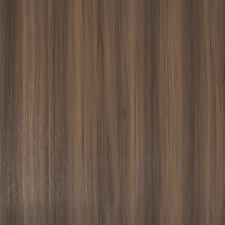 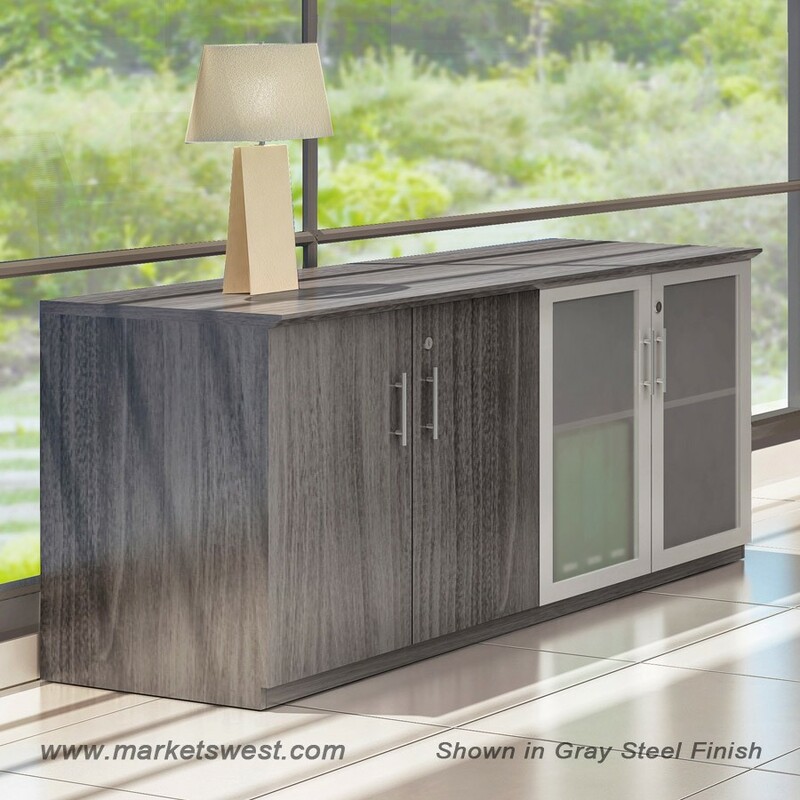 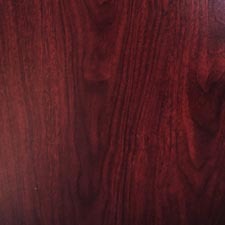 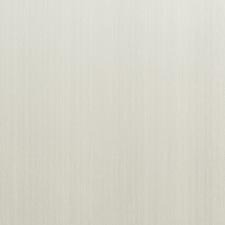 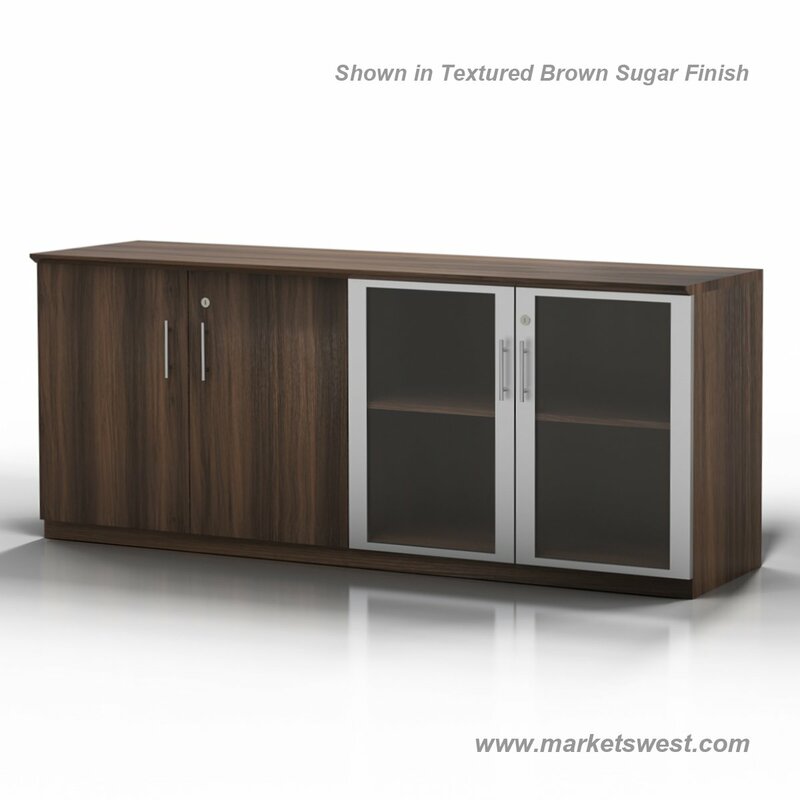 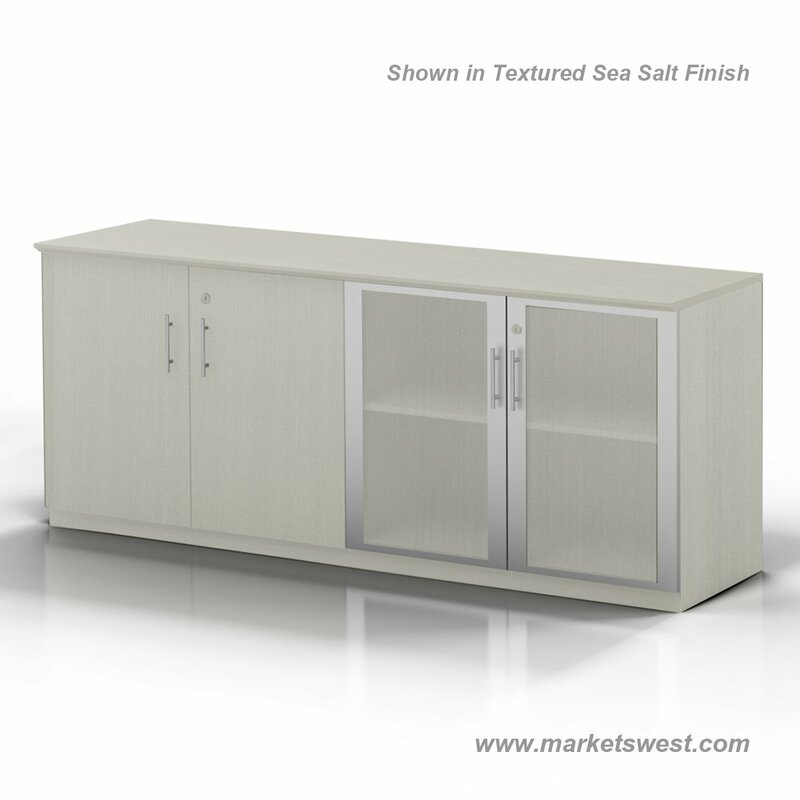 Available in 3 Laminate Finishes: Gray Steel, Mahogany and Mocha. 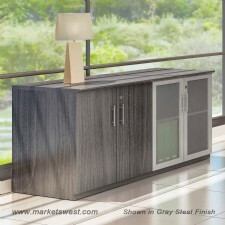 Includes 1 set of wood doors and 1 set of frosted glass doors. 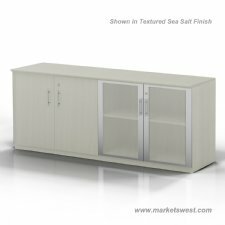 Sets of doors lock separately.